Size of Property : 1,720 sq.ft. Bellevue Towers is a two-tower project in Downtown Dubai sharing one podium. Units are aesthetically designed with superior quality finishes providing a more vibrant home with a sense of security and privacy together with its trendy surrounding areas and stunning views. Adjacent to Old town & next to South Ridge with amenities like gymnasium,swimming pool, kidu2019s pool and play area and High-end retail units at the Ground level and a 6-min walk to the Boulevard. 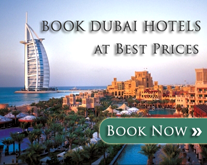 *Dubai Mall and Sheikh Mohammed Bin Rashid Boulevard are walking distance.